Using Temporary email addresses with the help of Fake email generators is the way to avoid spam and unwanted emails nowadays. Temporary emails are also called as Disposable emails; it’s because these type of email addresses can be used up to a short period of time. Such email accounts will be self-destructed as soon as your work is completed. Disposable emails can also be used to receive one-time passwords (OTP) or any essential documents from unknown persons. Temporary email accounts works like any other standard email services such as Gmail, Yahoo, etc. People often use fake email generator to quickly create email addresses without needing to enter all the necessary details as you do in Gmail, Yahoo Mail, Microsoft Mail, etc. Sounds Cool, right? If you want to try out such services, then here’s a list of the best fake email generator for you. 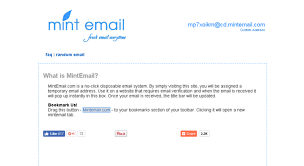 MintEmail is the simplest and easiest way to create a free disposable email address for yourself. You don’t need to do anything on the site; the system will automatically assign you a temporary email address as soon as you visit their website. The email address provided by the MintEmail can be used on anywhere for the verification purpose. Emails will start popping up on the header of the site as soon as you receive it. In case, if you don’t like the email address provided by site or if it looks spammy, there’s always an option to create a custom email address. Just enter whatever email address you want, the system will create it for you in no time. Mailinator is a premium fake email generator (basic features can be utilized for free of cost). The concept of Mailinator is a bit different compared to MintEmail. You won’t be provided any disposable email address on the site because all the email name that you can think of exists already. All you have to do is just think of any email name and enter it followed by @Mailinator.com. Now just enter the email address wherever you want to receive the emails, keep in mind that anyone can view your inbox without your permission. There shouldn’t be any problem with Mailinator as long as your work is ethical. Temp Mail is a reliable fake email generator where users can receive emails at a temporary email address. Which will be destructed automatically after a certain period of time. If you are looking for an email address to register on sites like Forums, Wifi Platforms, blogs, etc., then Temp Mail should be your way to go. Once you visit the website, there will be a unique temporary email address displaying in the header of the site. Which is actually assigned to you for a specific amount of time. Once the allotted time is completed, the email will be self-destructed. Nada is a popular site to generate the fake email address to register on unknown sites on the web. 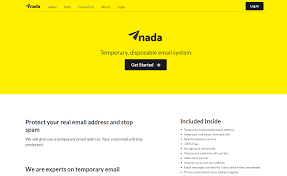 All the fake emails or spam emails will be stored in your Nada inbox, while your real email address inbox stays clean and safe. Users can create an unlimited number of temporary email accounts with just one click. As soon as you land on the Nada site, you will be shown an option to create a fake email address. 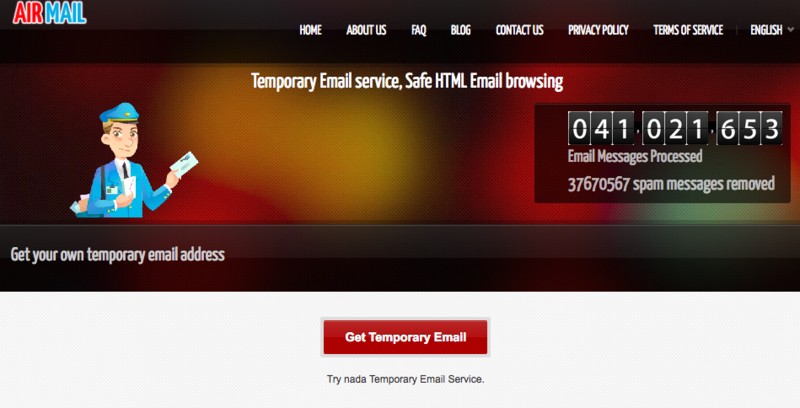 Just click and wait for a few seconds, soon a temporary email address will be assigned to you for free of cost. Nada provides 100% anonymity service, by keeping your identity safe and private. YopMail is a short form of Your Own Protection Mail. It’s One of the dominant yet simple fake email generator in the market. 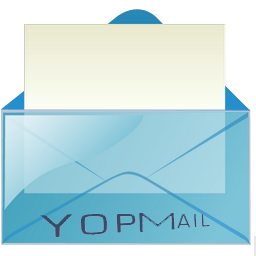 The YopMail provides automatically generated email inbox service for free. All the messages and emails will be saved in your temporary email account for a period of 8 days. 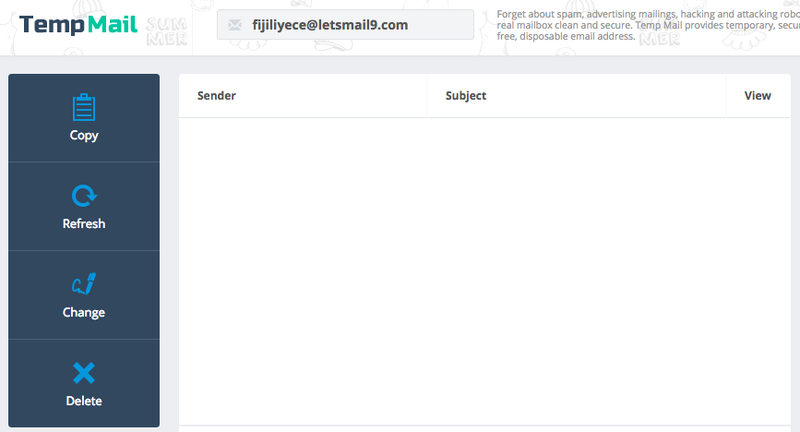 On Yopmail, you will see find a box where you need to enter any random email name to create the temporary email account. Yopmail temporary email addresses can be used on any untrusted, temporary sites, forums worldwide. Yopmail is an ideal option for users who regularly browse websites where registration is must to view or make comments. AirMail is one of the fastest ways to generate fake email addresses to beat spam. It’s a web-based fake email generator; the user can quickly create a temporary email account within a second. Unlike other sites, Airmail provides a private disposable email address. Meaning, only you will have the authority to view until the email address is destroyed. In case, if you’re testing any new online portals or sites, then AirMail is the best and fastest way to create temporary emails. There are no charges or hidden subscription. The service can be availed for free of cost by anyone as long as it doesn’t breach the maximum limits. My Trash Mai is a simplistic fake email generator to create as many disposable emails as you want. You can use this site to create fake email accounts in order to prevent any spam email landing in your inbox. My Trash Mail is an anonymous platform that provides secured temporary email accounts to users for free of cost. Usually, Standard fake email sites help you in avoiding incoming spam. While the My Trash Mail helps you in avoiding the future spam. No need to go through any sign-up or registration process. Just visit the website and get yourself a fake email or temporary email. In this modern era, emails have a vital role for any purpose of work. Email Generator can save your valuable time by quickly creating fake email accounts for free. Email Generator simplifies the work of building an email account; its automatic bot is always active for generating fake email accounts. There are no limits or restrictions on incoming emails; you can use the temporary email address as many times as you want and receive unlimited emails. This way you can quickly create accounts on suspicious or dangerous sites. It protects your real email accounts from spam and hackers. Most of the spammers uses email id’s of users from various platforms. Well, many of them are already into trap and I don’t want to be one of them. That’s the reason why I am writing this guide, actually to save everyone from spammers. Use any of the Temporary Email Generators to create your own disposable email id’s. Share this guide with your friends if you like them, thank you.